The right information about the difference between saturated and unsaturated fats can help you in lowering your cholesterol levels! Saturated and unsaturated fats refer to the two types of fats that are found in your foods. Remember, fat is a very important nutrient that is found in your food. It is very important in maintaining a healthy body. It has received such a lot of bad press, mainly owing to the harm caused by saturated fats! But let us find out the other differences between the two! saturated fats do not contain a double bond between carbon atoms. It is fully saturated with hydrogen atoms. This means that the carbon atoms cannot fit anymore hydrogen atoms into the chain. What’s more, saturated fat molecules are solid at room temperature! An unsaturated fat molecule contains double bonds and is liquid at room temperature. there are differences in the effect produced on the body by saturated and unsaturated fats. Saturated fats are harmful for the body. They increase the level of LDL cholesterol in the blood, and therefore cause diseases like arteriosclerosis and others. Unsaturated fats are very important for your body. They help in growth and development of the body, balance the hormones and keep the nerve cells healthy. Do you still think they are your enemies? saturated fats are mainly found in anything that is sinfully yummy! Yes, unfortunately I am talking about all those gooey pastries and lip smacking chips! Anything that is processed will inevitably contain saturated fats. Red meat, chicken fat and high fat dairy products are also among these harmful foods! Unsaturated fats, on the other hand, are mainly derived from plant sources. For instance, you can expect to find unsaturated fats in olive oil, sunflower oil and other plant extracts. These fats are good for your body. 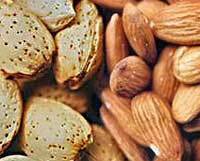 They increase the level of HDL (the good cholesterol) in your body. HDL is extremely important for your body because it lessens the bad effects of LDL cholesterol. You can get unsaturated fats in two forms. These are monounsaturated fats like olive oil and poly unsaturated fats like sunflower oil. Remember, a balanced diet would include healthy portions of unsaturated fats. However, you are always better off without any sort of saturated fats in your diet. They are not good for your body and can cause a lot of dangerous diseases. 1. Unsaturated fats have double chain bonding in carbon and hydrogen atoms. However, saturated fats have no such bonding. Unsaturated fats are liquid at room temperatures, while saturated fats are solid. 2. Sources of unsaturated fats include olive oil, canola oil, sunflower oil etc. saturated fats can be found in processed foods, butter, red meat and chicken fat. 3. Saturated fats harm the body, producing LDL cholesterol, unsaturated fats are good for the body, because they increase the level of HDL cholesterol in the body. Purpa Mukherjee. "Difference Between Unsaturated and Saturated Fats." DifferenceBetween.net. November 2, 2009 < http://www.differencebetween.net/science/health/difference-between-unsaturated-and-saturated-fats/ >. this was horrible. it was good and helpful. it was completely useless.